My reading has been greatly interrupted by the Olympics. I spent my entire morning yesterday watching the opening ceremonies on ctvolympics.ca and now I’m hooked. How about that huge sparkling bear? And the constellations projected into the stands? The dance performances were out of this world, particularly the section featuring the Alberta Ballet. Koala Lou, by Aussie picture book queen Mem Fox, in which the title character enters the Bush Olympics hoping to win gold and the attention of her mother. Tacky and the Winter Games, one in a series of witty tales about Tacky by Helen Lester, in which we follow everyone’s favourite penguin through the process of getting to the Winter Games. When Chickens Fly, by Canuck Kari-lynn Winters, in which funky chicken Esper sets her sights on becoming a free style aerialist. Congrats to the Canadian Olympic team! 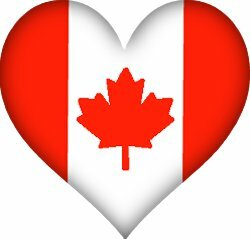 First or Fifty-fifth, Canada is proud of you! Tacky the Penguin is one of my favourite characters. No matter which class I share him with, they love him. I’m so glad to hear you’re sharing him with your students! Long live Tacky!